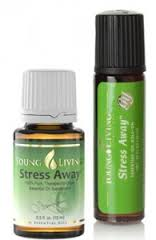 TIP 1: This oil is named Stress Away for a reason...its fragrance is one that lifts your stress away from you! TIP 2: Sometimes we suffer a headache from "plain old stress". Try using Stress Away to ease your headache! TIP 3: Have you ever tried to sleep when you are stressed...it doesn't work so well, does it? Try rubbing a little Stress Away on, maybe on the bottom of your feet, or on the back of your neck, before your go to sleep and see if your rest is more peaceful! TIP 4: Stress can manifest itself as a physical pain. Stress Away is designed with the oil copaiba which has been studied to help you cope with pain. TIP 5: When a person is stressed, their blood pressure often goes up. One of the oils in the Stress Away blend is Ocotea which has been shown to balance a person's blood pressure. Copaiba or Copal Essential Oil (Copaifera reticulata) has anti-inflammatory, antiseptic, analgesic and antibacterial properties. It is a powerful anti-inflammatory and helps the cardiovascular, respiratory and nervous systems as well as muscles and joints. Ocotea Essential Oil (Ocotea quixos) has analgesic, anti-inflammatory, and disinfectant properties. It is calming and purifying. It is used for inflammation, balancing blood sugar levels, stress related conditions and it reduces the body’s response to irritation. It is in the cinnamon family! Lime Essential Oil (Citrus auantiifolia) has antiseptic, antibacterial, antiviral and restorative properties. It is calming and stimulating and refreshing. Is beneficial for anxiety, stress, exhaustion and depression. Vanilla Absolute (Vanilla planifolia) has antioxidant, aphrodisiac, anti-carcinogenic, anti-infectious and sedative properties. It is calming and comforting. It is used for stress and irritation, and to curb appetite.